Transcend beyond the depth of your conscious mind and slip into "Electro Memories for Ableton" from Big EDM. Your journey begins with a deep bass growl followed by an impact so strong it could shake the earth's core. Melodic keys arise from the ashes to reveal a post-apocalyptic shade of gray. An eerie calm surrounds you as you accept that in death there is new life. An aluminum sounding plucked string plays a melody as the cycle begins again. The rebirth of life and all its wonder are joined in harmony set to the rhythm of a glitched trap beat. The keys of a bright piano dictate each of the rays of the sun that slowly make their way through the darkness allowing illumination to once again scour the surface. 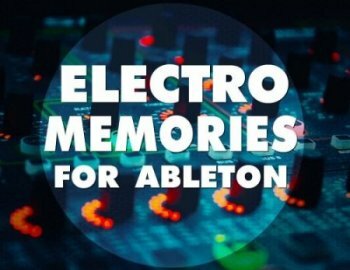 Big EDM has pieced together a collection of "Electro Memories for Ableton” to give your mix control of the state of remembrance you instill upon your audience. Each and every sound paints a vivid picture for the mind and a familiarity to the soul. Music is the soundtrack to life. What will your soundtrack reveal? Our audio sample packs are created by experienced sound design professionals. Our goal is to provide you with the most unique and innovative sounds with our highest regard for quality.